This is the page for the Cohanzie Fire Co. They have 1 engine, 1 tower ladder, 1 rescue truck, 1 brush truck, 1 utility, 1 ambulance and 1 station. 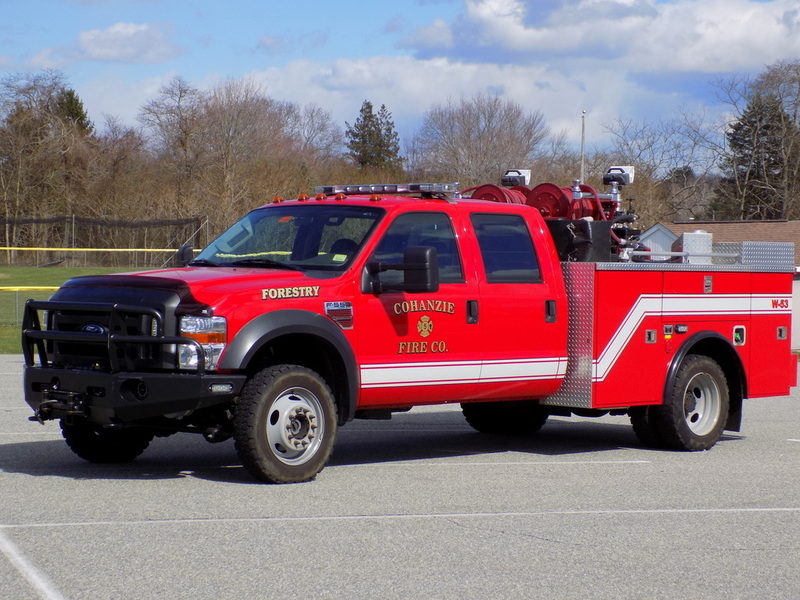 Cohanzie's Brush 53, a 2009 Ford F-550. 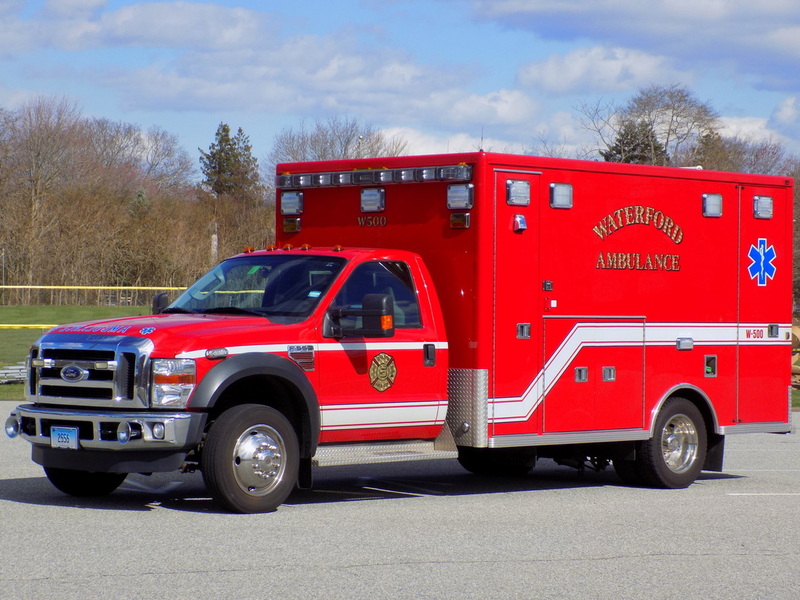 Cohanzie's Ambulance 500, a 2009 Ford F-550/Lifeline. 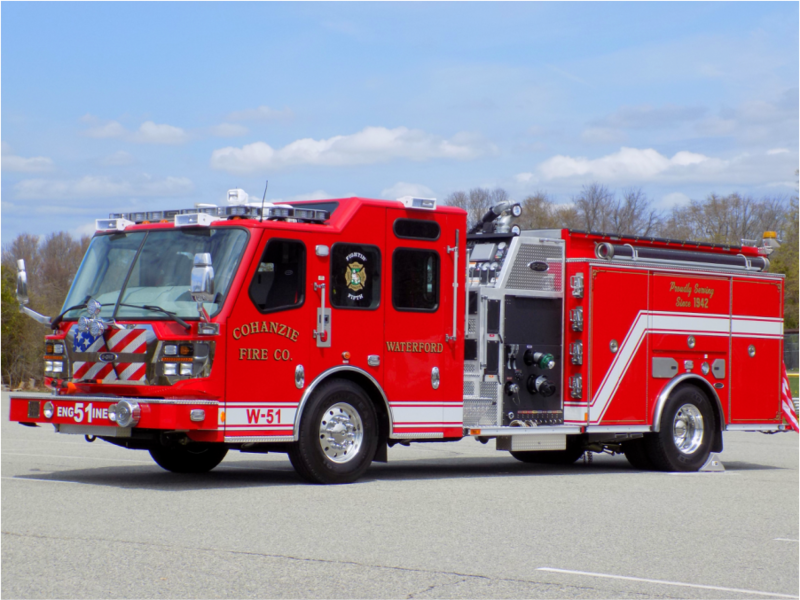 Cohanzie's Engine 51, a 2016 E-One Quest. 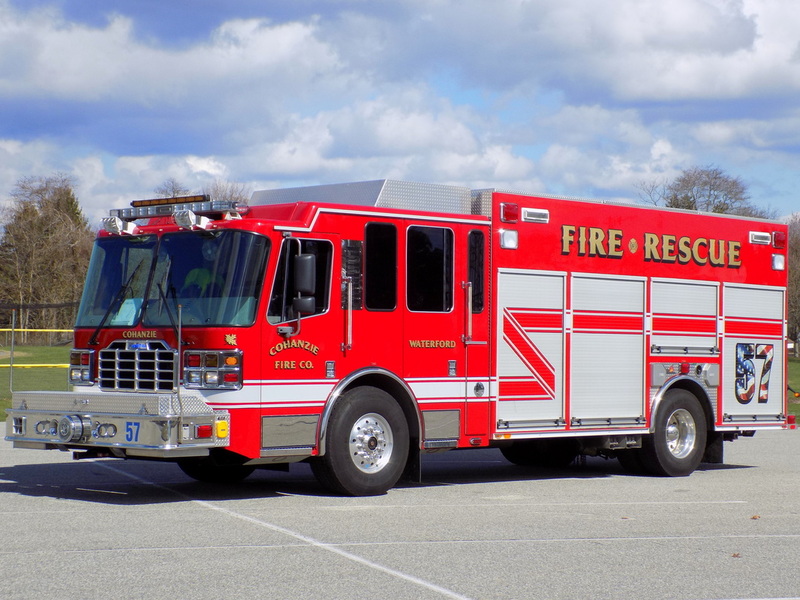 Cohanzie's Rescue 57, a 2010 Ferrara heavy rescue truck. 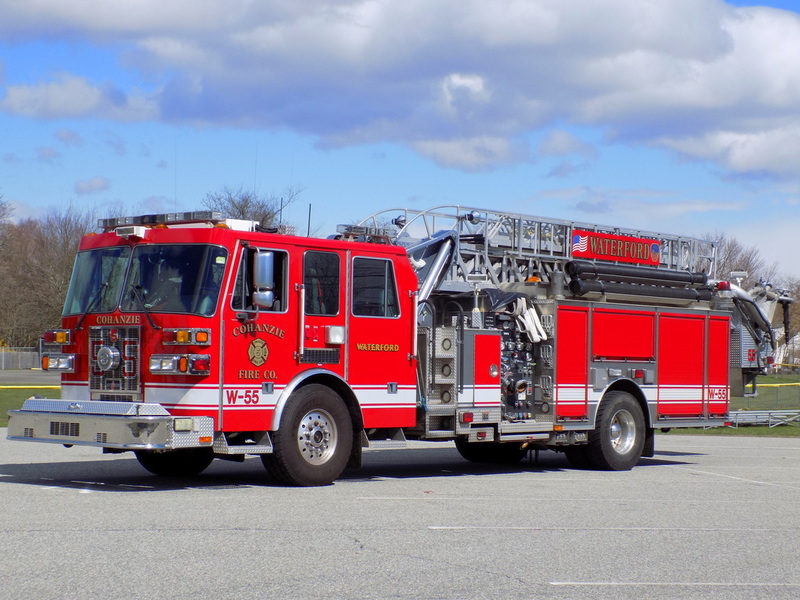 Cohanzie's Tower 55, a 2004 Sutphen mid-mounted 70ft tower ladder truck. 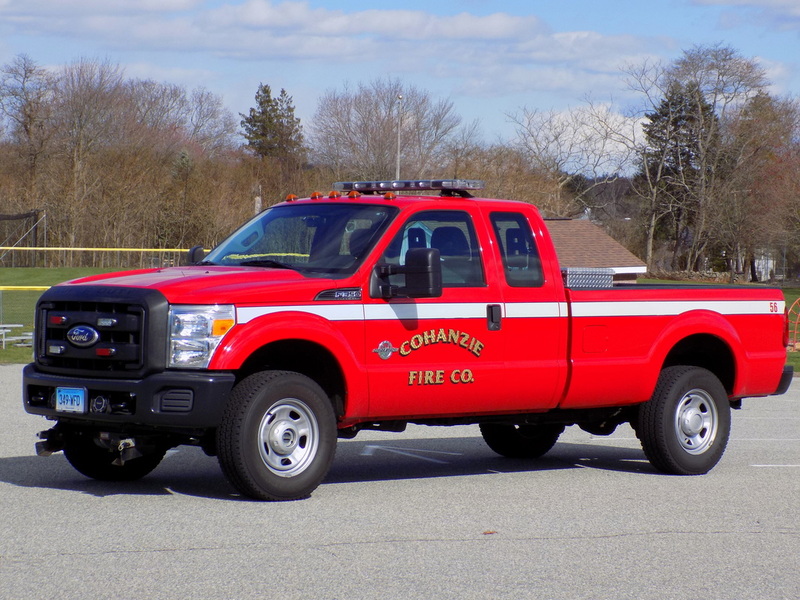 Cohanzie's Utility 56, a 2014 Ford F-350 pickup truck. 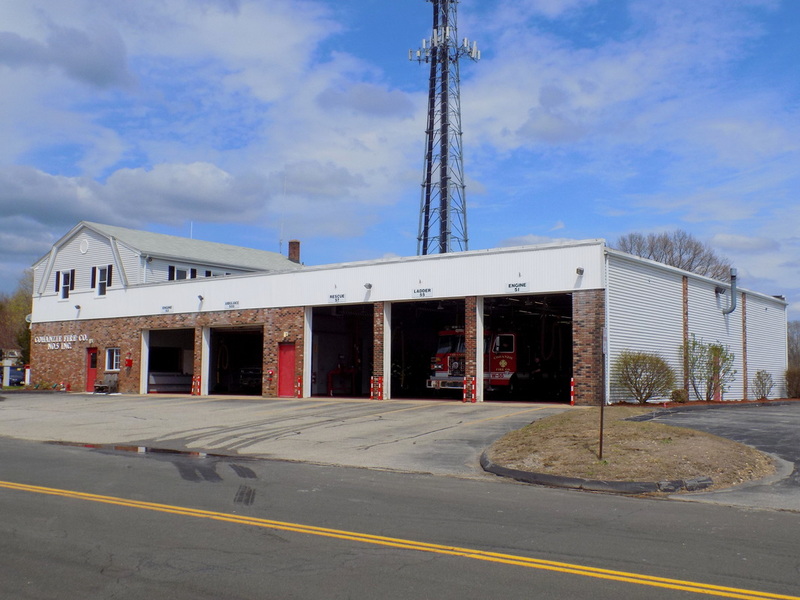 Cohanzie's fire station, located at 53 Dayton Road, Waterford, CT.